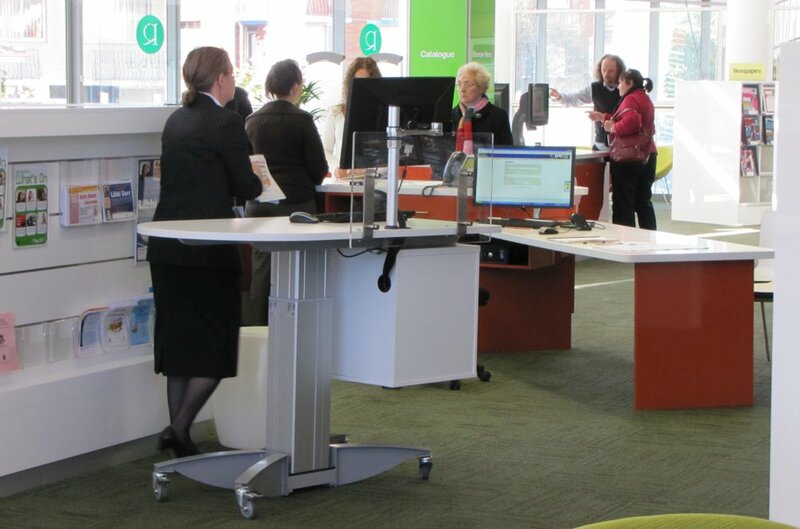 At New Ryde Library the stunning new interior welcomes people into an engaging and responsive space. 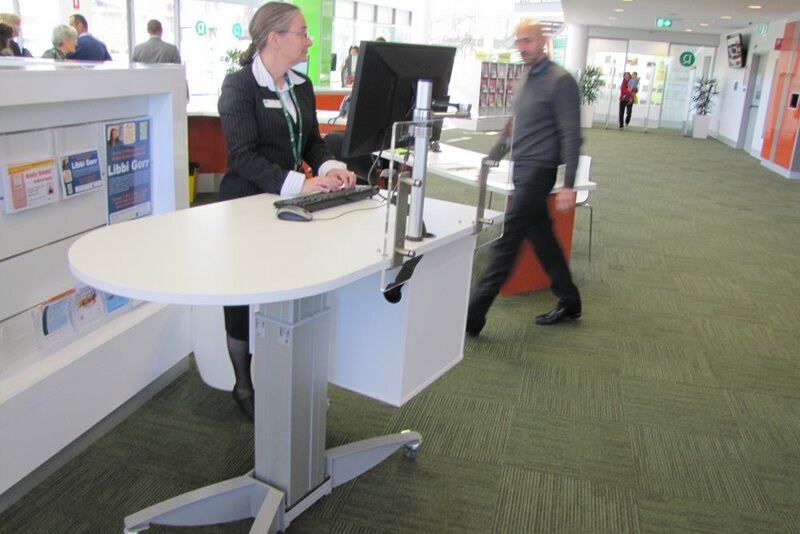 To help provide enhanced customer service, Ryde Library approached Paul White at Instinct Furniture to provide ASK ME Help Stations. 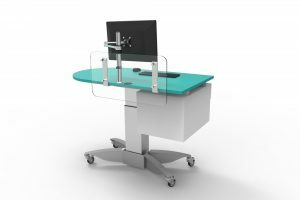 Designed as a true height adjustable roaming station, ASK ME is alert, positionable and responsive; able to be moved about as need be. 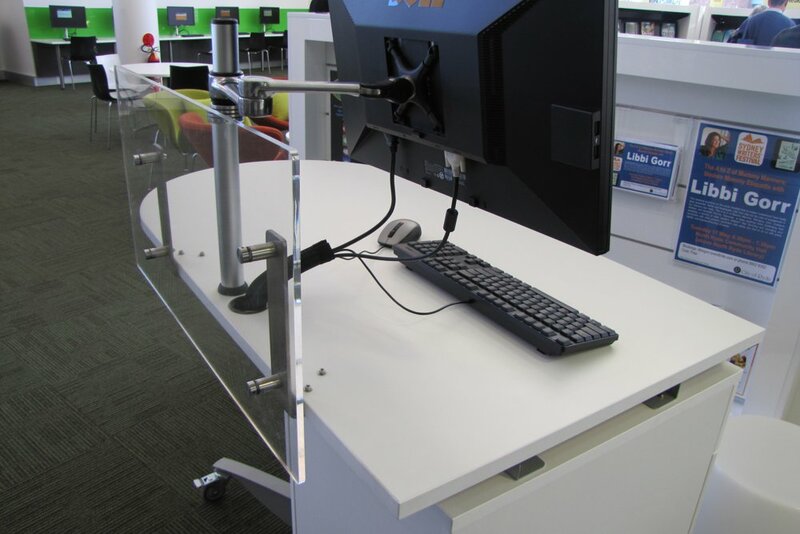 The ASK ME ironing board worktop features a meeting end allowing the staff member to work along side the customer, either standing or adjust to sit if the interchange is prolonged. To add a flexible element to the many comfortable lounge settings throughout the library, GALAXY Ottomans were chosen as they may be used as both low tables or seating. The chosen fabric looks stunning against GALAXY’s brushed stainless steel frame. 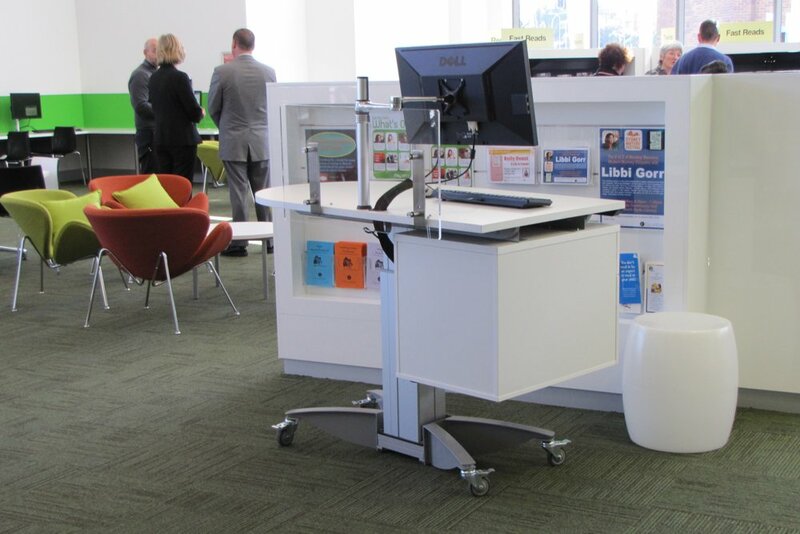 Our congratulations to Ryde Library on achieving an vibrant and well considered space incorporating the most cutting edge thinking in library design.